With 57 different spaces over 16,000 sqm, we have an extraordinary range of options for events from 4 to 10,000 attendees. In addition to our extensive dry-hire provision, The Dock Gallery offers a ‘plug and play’ space with a comprehensive list of Day Delegate Rate packages. Benefitting from quayside views and flooded with natural light, this space can accommodate up to 250 people. 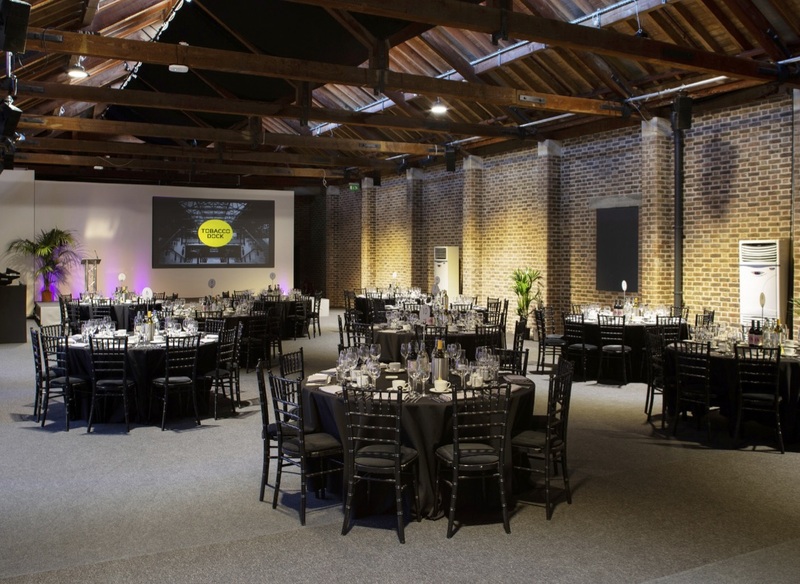 Exposed brickwork and listed timber beams make this the perfect backdrop to a variety of events and offers a multitude of branding opportunities. Offering flexible spaces, it can be combined with the 9 elegant meeting rooms in The Dock which serve as ideal breakouts, private offices or workshops. Skylight is a seasonal playground, spanning four levels at the top of Tobacco Dock and commanding breath-taking views of the City skyline. An urban lawn club complete with croquet and pétanque lawns by summer and home to Europe’s only rooftop ice rink in the winter, it’s a fantastic location for your post-event social or corporate party. Alternatively, get your delegates into the party mood at Quayside Bar, our beautiful marble-countered cocktail bar or at Dock St., our stylish speakeasy hidden away in the Vaults.